As America is now painfully aware, the doors of Mr. Selfridge were opened for the final time last night with the beginning of the fourth and final series as part of PBS’ Masterpiece series. As most of you know, I’m a sucker for DVD extras and behind-the-scenes, making-of videos. Seeing how the sausage is made becomes all the more special when the one taking you on the ‘backside of the camera tour’ is one of the actors you see week in and week out in front of the camera. Who better than to take you on a tour inside the making of Mr. Selfridge than Harry’s son, Gordon Selfridge, a.k.a. Greg Austin. We’re first introduced to the Greg Austin incarnation of Gordon Selfridge at the beginning of series 2 when a 15-year-old Gordon wants to leave school and work in the store. Even though he is destined to take over as the future head of Selfridges some day, we begin to follow Gordon through his interest in a union meeting while working on the loading bay. 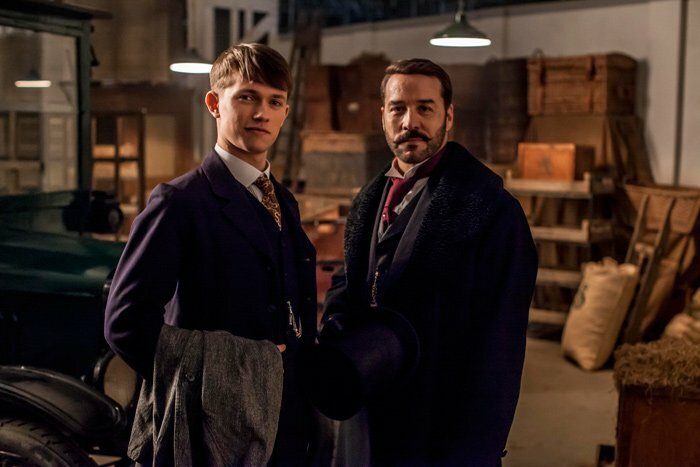 As you can imagine, being the son of Harry Gordon Selfridge not only creates conflict of being both ‘one of the boys’ and being ‘Harry’s son’ but also having a divided loyalty at home given his parents strained relationship. As we head into the final season, Austin turned on his personal camera for a couple of really cool behind-the-scenes videos. The first, chronicles his efforts during location filming at Highcliffe Castle, which will appear in next week’s episode (series 4, episode 2). In the second and final video, Austin will take you through his final day on set. 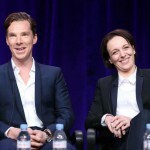 After three years of filming, you’ll be taken around the sets and see what happens on an average day of filming which, sadly, just happens to be the last. 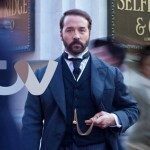 Mr. Selfridge continues Sundays at 10:00pET/9:00pCT on PBS’ Masterpiece series.